(San Antonio, Oct. 22, 2018) – It's called ArcCI (or Arctic CyberInfrastructure) and promises to combine the thousands of images that have been taken along the years of the Arctic Ocean into one global database that will help scientists and the world see the physical changes occurring in the region including ice loss. The hope is that this web-based repository will allow researchers to spend more time analyzing information rather than just collecting and processing data. "This is to help scientists spend more time doing the science," says Professor Alberto Mestas-Nuñez, one of two researchers at The University of Texas at San Antonio working on the on-demand data mining module. "At present time there isn't a place on the internet that provides all these datasets but also an algorithm that allows to extract the information," adds Mestas. "Most of the time scientists spend time getting data and preparing it. Typically, it's about 80 percent preparing the data and 20 percent doing the actual science. We want to break that paradigm." 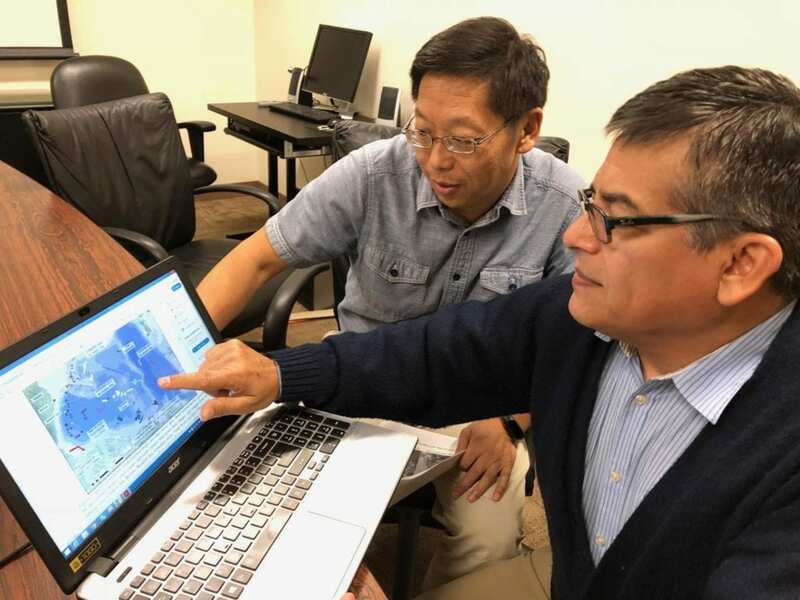 The original idea to build ArcCI came from Professor Hongjie Xie, the principal investigator of the project at UTSA and a professor in the university's Department of Geological Sciences. Although big data analytics, and dashboards are prevalent in many industries, the technology has yet to be applied fully to monitoring the Arctic's sea ice. "We have to harness the data revolution," says Xie. "It's about learning more in order to navigate the new Arctic." The system will allow the scientific community the ability to readily extract detailed information of various ice properties including submerged ice, ice concentration, melt ponds or ice edge–the boundary between an area of ice and the open sea. The on-demand database will be dynamic and allowed to include new algorithms as well as additional datasets as they become available. Currently, the cloud-based system holds about a terabyte of images but that number will surely grow. The earliest dataset is from 1998 from the Sheba expedition which conducted 13 flights over the Beaufort Sea. Now researchers will include close to 1760 declassified images. "We will use the power of the image," says Xie about the large amount of declassified information that will be integrated into ArcCI. The cloud framework and interface is being prototyped by Chaowei Yang at George Mason University, another investigator partnering with UTSA. A beta version of ArcCI will be presented at the Fall Meeting of the American Geophysical Union to be held in Washington D.C. in December 2018. This on-demand service module for mining the geophysical characteristics of the Arctic sea ice allows for a wider circle of the scientific community to have a smart tool that will enable them to conduct research in a digital modality. The project will also include summer workshops for educators so they can take advantage and they in turn teach the new landscape of the Arctic to the next-generation of scientists and kids.